You know there are so many opinions about what makes a clean and simple card. At CASology we have our own guidelines. 1. One main image. Check. 2. Lots of open space. Check. 3. Limited Layers and embellishments - here's where I maybe went a little off the rails. 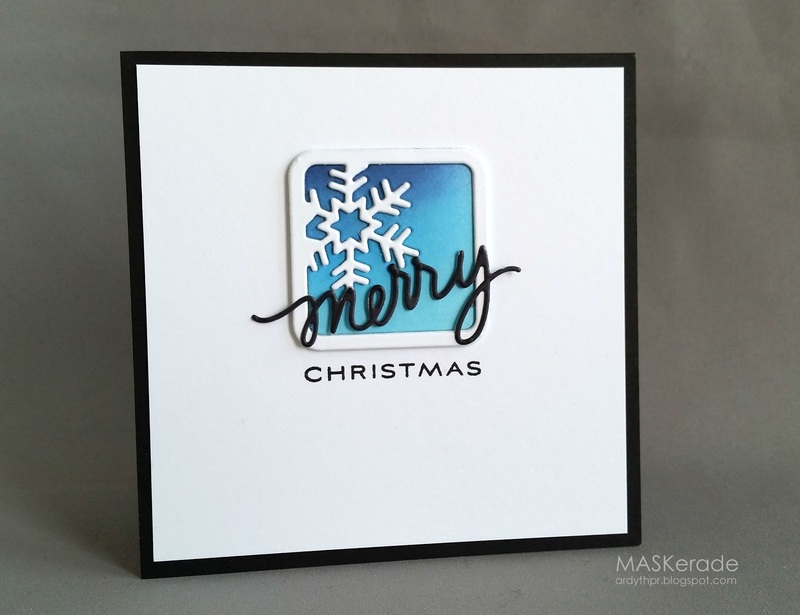 There are 6 layers here - black card base, white panel, 3 stacked die cut snowflake frames (Simon Says Stamp) and 1 black merry (Essentials by Ellen). I sponged one of the panels with 3 different colours of blue and got very inky. Hmm. 4. Quick and easy to recreate. Well. It's not difficult, but it does take some tools and time. So, is this a CAS card? 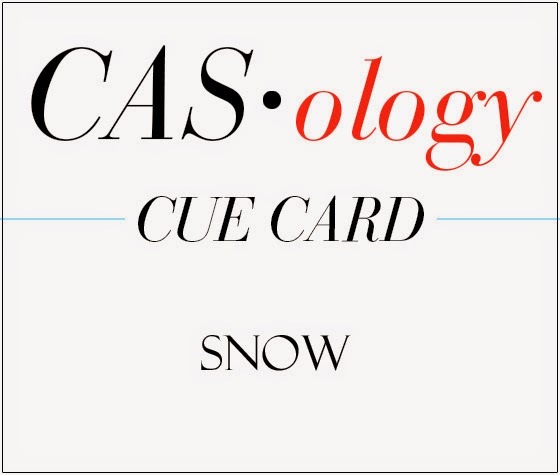 I would say that it's definitely a clean card - lots of white space, simple shapes, clean edges, no distressing. Maybe it's not so simple. What do you think? Healthy discussion and presentation of different points of view are important and definitely make life more interesting! I'm also thrilled to finally be able to link up to Merry Monday (winter theme) - I've seen their challenges whoosh by each week with every intention of playing along, and this week I've finally done it! Beautiful, Ardyth! It's a clean, crisp card and IMO it's definitely CAS. Love it! I say it's clean and simple and very Ardyth! Love it! I LOVE this, Ardyth and would consider it CAS!!! Pinning to CASE!!! This is such an AMAZING card, love it! You totally nailed it, Ardyth!!! I don't know why but your inked background with snowflake makes me keep looking at it. 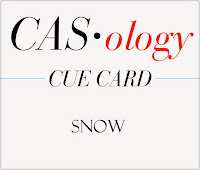 Even though your card has 6 layers, it's still super CAS! Love it!!!! It's a gorgeous card, Ardyth, and using die cuts makes it simple, so I'd say CAS, definitely. Ardyth a striking design, amazing how you took all the layers and simplified them to be CAS--brilliant! You know what...I forget about the simple part some times...am in LOVE with the clean part. I have this die....will have to use it differently! I love the way you have brought all the attention to the snowflake by surrounding it with all that great white space! I would definitely call this CAS! Well done! You are a CAS master! Gorgeous work, Ardyth. That snowflake just pops against the stark white. Clean and crisp like a snowy day! Glad to see you at Merry Monday, Ardyth! I think it is definitely clean and also simple. There are only alimited amount of layers. I think less than 4 is most definitely limited.!!! I struggle for CASNESS...I hope it doesn't show!!! It's all about the white space! I think that the wee pop of color and the layered dies don't detract from the simplicity, they enhance it! My new #1 favorite Ardyth card! Very striking design and great colors. You never fail to inspire me! This is such a stunning card! CAS to me means the end effect is clean and simple-looking - not necessarily the steps taken to get there :) This definitely qualifies as CAS perfection in my book. Thanks so much for joining in with my challenge at Merry Monday. simple and beautiful - check! I think it is just gorgeous, and one of those things that looks so simple and perfect--but when you really look closely and try to think about how it is made, you realize just how intricate it is. (In a totally good way, you know). Simple and STUNNING! Thanks for joining us this week at Merry Monday! Wow - this is so striking! Love it! Spotted your card on Merry Monday & just had to come and take a closer look! Oh, I do think this is CAS...your layered area is so small and doesn't look bulky or thick. It is really gorgeous! but I believe the one who get this will say ckckck sooo beautiful card..
Definitely CAS!!!!! Gorgeous! Thanks for playing along with us at Merry Monday. WoW this is really gorgeous love, love it. Simply gorgeous...and very Ardyth! Love. Congrats on your much deserved win! Hi Ardyth, We chose you as our winner last week at Merry Monday! Let me know if you would like to be a Guest Designer for our next Merry Monday Challenge on January 5, 2015. You can mail me at bonklass(at)gmail(dot)com. I love this card. The composition and colors are amazing!